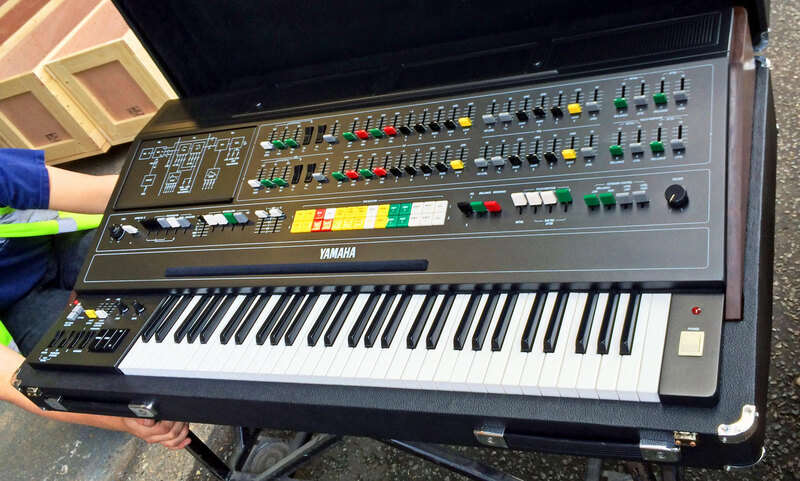 We are Brokering this Yamaha CS80 for and on behalf of our customer. This CS80 has recently been delivered to our restoration partners – KSR in Surrey, UK. The CS80 is in pristine condition, has had MIDI and the Unison mod fitted, and has been previously fully cosmetically & operatonally restored by RL Music, was supplied to the current owner. The CS80 is now due service, and may need some other minor cosmetic refurbishment, but all this will be included in the sales price. All aspects of the CS80 cosmetic and operational integrity are addressed including re-tolexing all the exterior, re-painting and screen printing all control surfaces and considerable electronic overhaul and upgrade. This work can take up to 12 weeks to complete from receipt of deposit. Additional upgrade options are available as well, these are all detailed below. 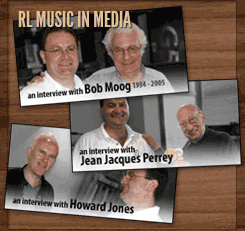 The restoration level that KSR apply to RL Music supplied CS80 is not commercially available to anyone else. If you want some of the technical detail of whats covered on the operational aspect then please let us know. >A pristine and fully operationally restored CS80, which can be converted to run on 220V or 110V depending on the customers requirements, although the instrument is currently set up to run on EU 220V. >All control surfaces stripped and re-sprayed, and then re-screen printed to factory spec. >Both synth and lid re-tolexed. >New solid Walnut wood Surround, hand-made by Lamond Design (our appointed specialist cabinet maker). 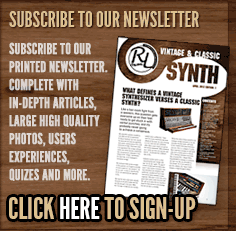 >An ultra-high pro-restored vintage synthesiser which is cosmetically stunning, reliable, in tune and can meet the demands of a commercial studio environment and an excellent investment as a historic instrument. 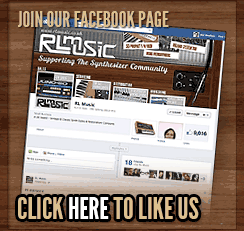 For over a 13 years, we have sold CS80s world-wide to musicians, bands, composers, studios and synth enthusiasts in general. Clients include: Hans Zimmer, Coldplay and numerous MI professionals – both artists and producers etc. All CS80 owners expect the highest quality, and are in out experience, very discerning buyers, so we work to a level that ensures the instrument is every-day usable for years and meets expectations. The CS80 would be sold with a 6 month warranty as standard which covers all parts and labour and telephone/Skype technical support. KSR also provide full after-sales technical support for the CS80 by phone, email and Skype post-warranty. KSR are world renown CS80 experts and currently support hundreds of these models around the world for professional musicians/studios and enthusiasts etc. If Midi is required on the CS80 then we are able to supply and install the Kenton Midi retrofit Kits for an additional £850 GBP. Payment for the Midi Kits must be made in advance along with the deposit mentioned below. Wood Surround (in Walnut) beautifully hand crafted by Lamond Design for an additional £750 GBP. KSR have designed the special modification for the CS80 (The Cascade Unison Mod ) so that if you press a single note then you get all 16 VCOs but if you press 2 notes together then it’s 8 voices per note..then 4 notes its 4 VCO’s per note etc etc. Thus meaning that it’s a kind of polyphonic unison, and offers new creative control of the powerful sound the CS80 delivers. Nearly all CS80′s we have sold in the last few years have had these fitted and it definitely adds great sonic value with no impact on the systems reliability or longevity. The Cascade Unison Mod costs £850 GBP. Most CS80′s have lost their ‘Pedals, Music Stand and Legs’ over the years, so in most cases we are unable to supply these orignal accessories to the new owner. However, this CS80 we are Brokering does come with the original expression pedal, chrome stand and Its original lid. We get asked a lot about what modern stands to use for these mighty synthesizers, so recommend the Quik-lok Mixer stand WS-650, although the original CS80 stand will also be fine if preferred. The CS80 can be reserved on deposit (50%) payable by bank transfer. Once the deposit has cleared, then we can normally have the CS80 ready from KSR in from 6 to 12 weeks, depending on the restoration option chosen. The balance of payment is due once the synth is ready. You are welcome to collect from us in the UK but we can have them custom crated and shipped world-wide. Most of the restoration work we undertake against any high-end vintage synths these days involves the same amount of effort we describe above, so the prices have to reflect the investment in time, resources and skill made to get them to the highest possible quality and finest condition possible, and we know you will not find better anywhere in the world. Price: As this CS80 has been previously full cosmetically & operationally restored, and fitted with MIDI/Unison Mod, then the above ‘option prices’ do not apply. It has its original wood surround. The sales price is £14500 GBP. This is a considerable saving over the normal upgrade price options for us to supply a CS80. Availability: This CS80 is now SOLD as at 20th January 2016. Library picture here is of the last CS80 we fully restored. The shot was taken just before it was packed and shipped out to an overseas customer. We’ll organise some photos of the actual CS80 for sale shortly and include them in this page.